I am still on my Southern Africa wildlife photo shoot testing the Canon EOS-1D X Mark II camera. You can follow my travels on Twitter and Facebook. Thanks to its high-sensitivity one-inch CMOS sensor and DIGIC DV 5 image processing platform with high calculation-processing power, the new XC15 is capable of capturing high-image quality and low-noise 4K UHD video. 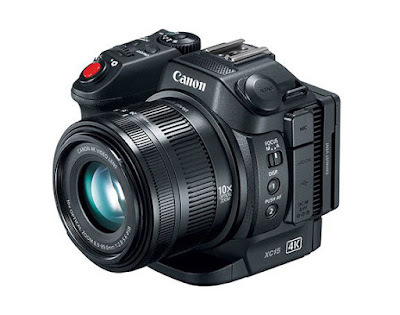 Additionally, the camcorder features a compact, lightweight body design, measuring approximately 5.0 x 4.1 x 4.8 inches (WxHxD) and weighs approximately 2.1 pounds while also sporting a 10x optical zoom lens1, which facilitates shooting in confined spaces and environments that demand mobility.